AND YOU CAN RESISTANT AGAINST THE MOST DANGEROUS ARROWS OF THE WILD WEST? 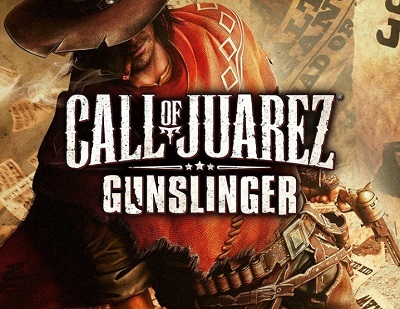 Gold mines and mud saloons: Call of Juarez®: Gunslinger pays homage to the Wild West stories. Take an epic journey through the wilderness as the ruthless bounty hunter of the most notorious criminals. Blurring the line between man and legend, this adventure will reveal the unexpected truth about the famous legends of the Old West. - Meet the legendary renegades Billy Kid, Pat Garrett, Jesse James ... Face the most famous shots of the Wild West and uncover the secrets of the legends. - Explore the lawless lands. Build a path through the wild lands of the Old West and experience an incredible adventure among stunning landscapes. - Do justice with a holster at the thigh, like a real bounty hunter, make a journey full of ruthless battles. - Win a shootout Become a master of shooting pistols and rifles, learn to dodge bullets. Master the deadly combo to hit multiple enemies in seconds. - Become the best in the Wild West. Develop special shooting skills, practice shooting and become the best shooter in the Wild West.